In 1991, Western media started spreading reports that Russian cosmonaut, Sergei Krikalev had been "stranded" onboard Mir in the wake of the desintegration of the USSR. 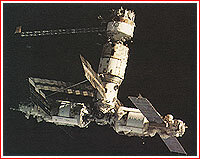 The 8th long-duration expedition started its work on the Mir space station on December 4, 1990, and remained onboard the outpost until May 26, 1991. 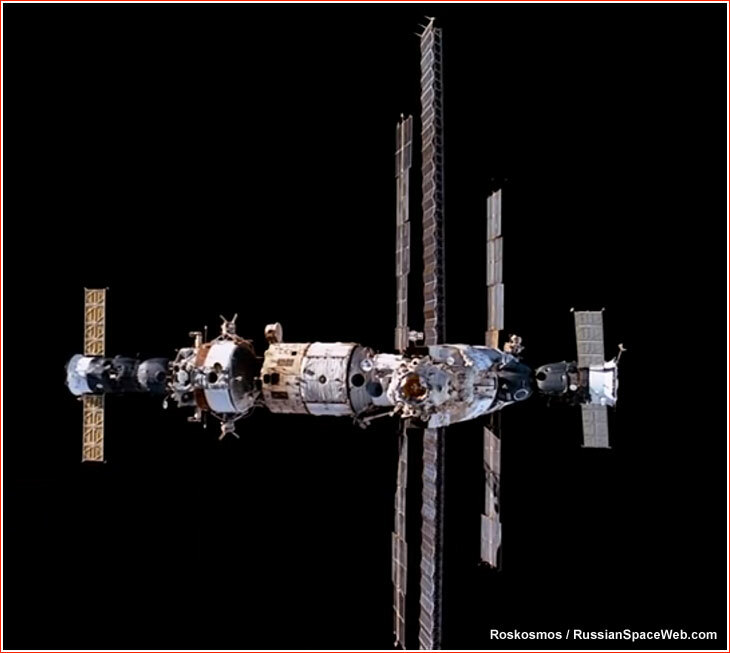 Following a first aborted attempt to dock, the Progress M-7 cargo ship controlled from the ground, tried again only to zoom within meters from the station, narrowly avoiding the collision. 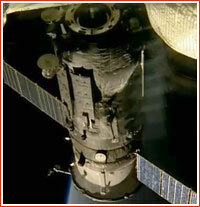 To save the cargo-supply mission, a decision was made to redock the Soyuz spacecraft to the rear port of the station, leaving the front port for the cargo carrier. The hope was that the more advanced rendezvous system in the front of the station would work better. 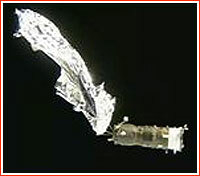 The rendezvous problems surfaced again as the Mir crew was redocking its Soyuz TM-11 spacecraft to the rear docking port on the station's Kvant-1 module. 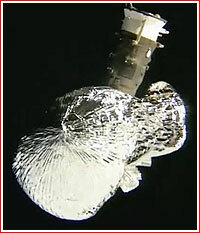 The culprit was finally traced to the Kurs rendezvous system onboard Mir, which had one of its antennas missing. The ninth long-term crew, including Anatoly Artsebarsky and Sergei Krikalev arrived on May 20, 1991, in the company of Helen Sharman, a British researcher, on a privately financed mission. Sharman returned to Earth on May 26 onboard Soyuz TM-11 with the eighth long-term crew. 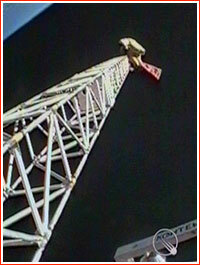 In the meantime, the space program started feeling profound changes experienced by the rest of the Soviet society. As Kremlin relaxed its centralized control over the regions, the nationalist movements and local authorities in the republics of the USSR moved toward independence. The republic of Kazakhstan, home of Baikonur Cosmodrome, a crucial launch facility for the Soviet space program, was not an exception. As a political gesture helping to insure the access to Baikonur and continuous cooperation of the emerging national government in Kazakhstan, Russian space officials made a decision to fly a native of Kazakhstan to Mir. Originally, test pilot Toktar Aubakirov was expected to visit Mir on a "dedicated" short-term mission. However, by July 1991, apparent budgetary and political pressures prompted Russians to assign Kazakh guest on the same flight which was reserved for a paid Austrian researcher. Both guests had to return home in a week, thus leaving only one seat onboard the returning Soyuz available for a long-term resident of the station. To solve the problem, Russian officials decided to replace only the commander of the Expedition 9 during the Kazakh-Austrian visit to the station. Flight engineer Sergei Krikalev, from the Expedition 9 was asked to remain on Mir for an extra long-term "shift" under a new commander, who would arrive with Kazakh and Austrian cosmonaut. In the summer of 1991, political and logistical problems around Mir became only a footnote in a monumental drama played on the streets of Moscow. Its outcome would change the course of world's history. On August 19, a group of Communist apparatchiks attempted to overthrow Soviet president Mikhail Gorbachev, to establish marshall law in the country and to reverse ongoing political reforms. They got much more than they bargained for. Political opposition quickly took the initiative from inept conspirators, accelerating the inevitable collapse of the Communist Party and its seven-decade-old hegemony over Russia. With it, the political and economic structure of the Soviet Union started to crumble. Only weeks, after events in Moscow, on October 4, 1991, the Soyuz TM-13 docked to Mir, delivering the commander Aleksandr Volkov, Kazakh guest Toktar Aubakirov and an Austrian researcher Franz Viehboeck. 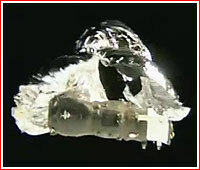 After several days of joint operations, Artsebarsky joined Aubakirov and Fibek onboard Soyuz TM-12 for a ride home. Volkov and Krikalev stayed onboard Mir. Along with two cosmonauts, a fresh Soyuz TM-13 spacecraft remained docked to the station, serving as a return vehicle for the crew, despite numerous claims by Western media that Krikalev was "stranded" onboard Mir. As the turbulent year of 1991 was drawing to a close, the crew of the Mir space station saw the world below them dramatically change. By December 1991, the Soviet Union officially ceased to exist, and the new government of the Russian Federation inherited the largest portion of the Soviet legacy in space.